Well Virginia, there is a……. Well boys and girls, sit close and I will tell you the time I visited with Santa Claus. Yeah… that guy! The one that loves everything red and has reindeer out back. Oh and yes… reindeer are tasty!! No!! Don’t think that!! I did not eat any of Santa’s reindeer but I do have to say, I thought of it but after all, it’s Santa’s place and well….. I’m trying to be on the good list!! SO… just a loving look at the reindeer is all I got!! Really!! Well…. maybe I did pet one or two of them but really, that’s it. I did not have a reindeer sandwich… there at least 🙂 So…. 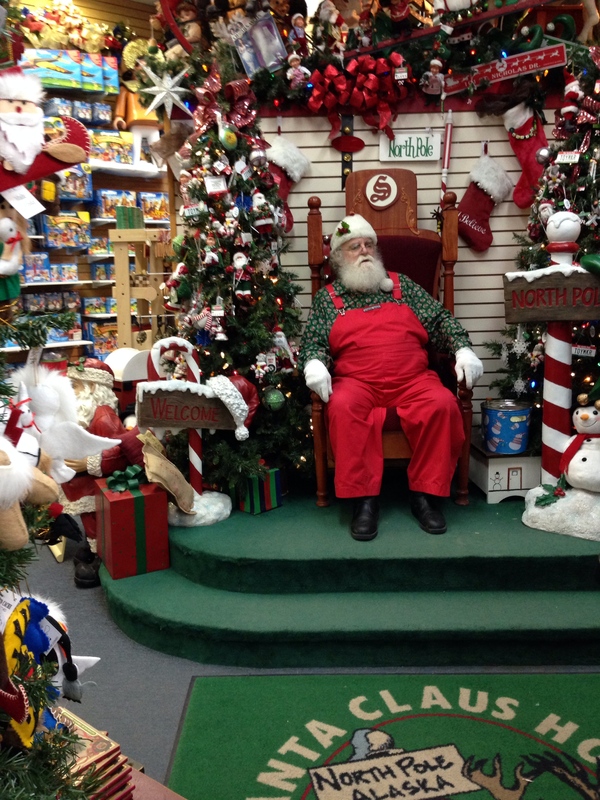 here I was at the North Pole (Alaska, that is) and I got to have a little talk with the old fat man (Santa, that is. Oh and really… He does’t mind being called old and fat. He is married and not looking so he says it’s ok to be a little fat). He is a great guy! Always happy and loves giving gifts to good boys and girls! So here I was with Santa and well….. I couldn’t not ask him for something! You know… it would have been rude of me not too, so… on his knee I jumped and asked for……..(wait for it)….. all my dreams to come true, so yeah…. if your reading this…. (Unbolt, lovely, sweetie pie, I’m talking to you!! Get your blushing self into a gift wrapped box and be under my tree!!!! Pretty Please 🙂 Merry Christmas everyone! !